Dr. Cruden obtained an Honours degree in geology from the University of Oxford, subsequently an MSc in Geology and a PhD in Structural Geology from the Royal School of Mines at Imperial College. Following a variety of assignments over the next few short years in industry, and with other Canadian universities, Dr. Cruden joined the University of Alberta, where he is currently a full Professor. He is also very active as an advisor to consulting engineering companies and to governmental agencies on problems related to engineering geology and rock mechanics. 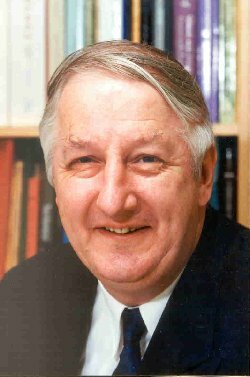 Professor Cruden is a very prolific author having published about 240 refereed and un-refereed papers and technical reports. During this time he has supervised 10 PhD theses and 35 Masters theses, as well having a full teaching load at the undergraduate and graduate level. As a researcher and teacher Dr. Cruden possesses a rare ability to meld earth sciences and engineering in a way that few others have. This has resulted in the teaching and counseling of civil engineers on the role of geology in planning, designing and constructing major projects throughout Canada, with particular emphasis on the mountainous terrains of western Canada. He is the noted authority on the behaviour of Turtle Mountain, which is of course the location of the famous and devastating rockslide that destroyed the town of Frank in Southern Alberta. He has also prepared numerous studies and reports on slope instabilities in the mountain chains of Alberta and British Columbia. His lifetime involvement in this region of Canada has led to the establishment of a splendid interpretation centre for the Frank slide, one of the very few cases where geo-engineering practice is accessible to the public. With that as a background you will appreciate that Dr. Cruden has become one of the world’s foremost authorities on landslides and terrain analysis. His publishings are essentially on these subjects, and he has been generous in his service to both engineering and geological associations. He has received the Thomas Roy award on two occasions from the Canadian Geotechnical Society, as a measure of the regard in which he is held.